U.S. financial markets are closed in observance of Good Friday but there were still a few important reports on the economy released this morning. 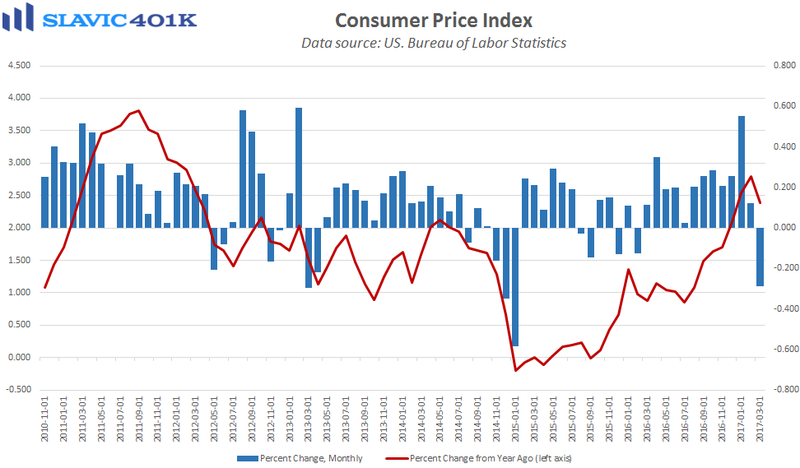 First, data from the Bureau of Labor Statistics (BLS) showed that household inflationary pressures softened in March, with the consumer price index (CPI) for all urban consumers falling by 0.3 percent. That was the first monthly decline in more than a year and a large enough drop to pull down the annual rate of growth to just 2.4 percent. 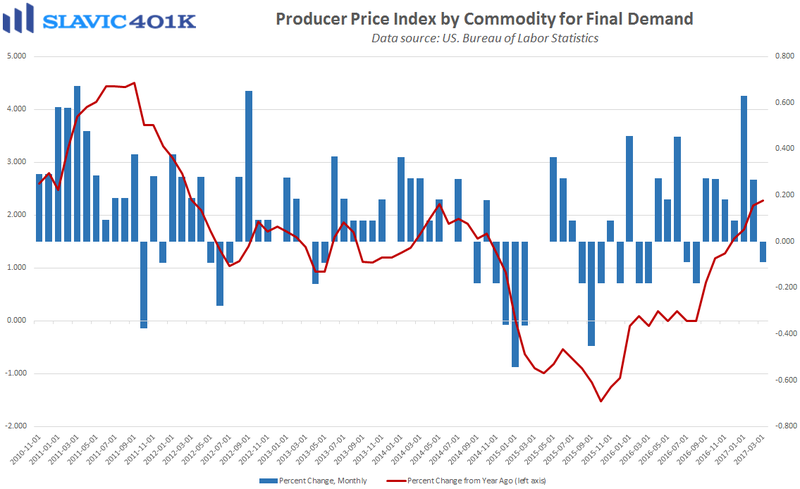 Similarly, the producer price index for final demand (PPI-FD), a measure of wholesale inflation in America, fell by 0.1 percent in March. That was a sharp turnaround from February’s 0.3 percent rise and the first month-over-month decline since August. 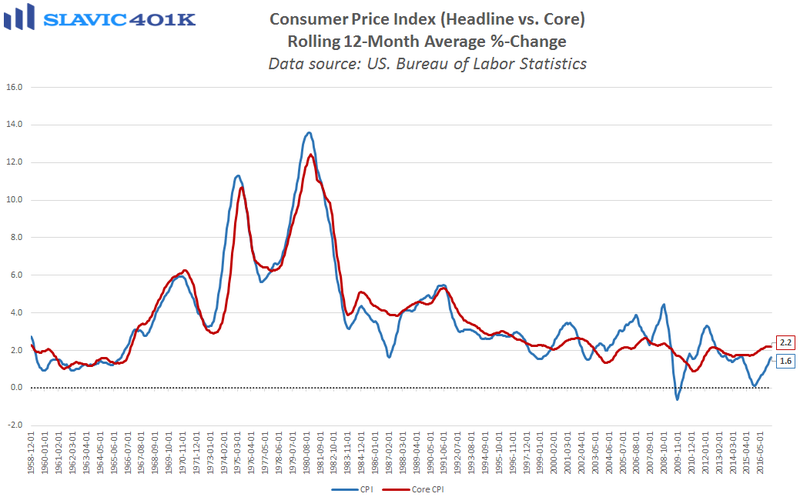 “Core” inflation measures, which exclude the volatile food and energy components, also came in much softer than expected in March. However, this is only a single month’s worth of data that by itself will likely not be enough to prevent officials at the Federal Reserve from raising interest rates again in 2017. In fact, there is still a 54.8 percent market-implied probability of another quarter point hike occurring at the June Federal Open Market Committee (FOMC) meeting. With all of the economic data scheduled to be released over the next two months, though, the near-term path of monetary policy remains anything but certain. 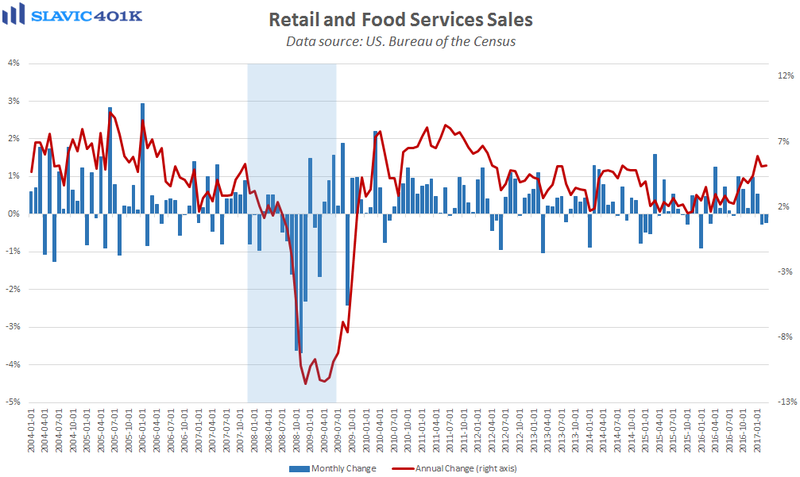 Elsewhere, data from the U.S. Census Bureau showed that advance estimates of retail and food services sales in March totaled $470.8 billion. 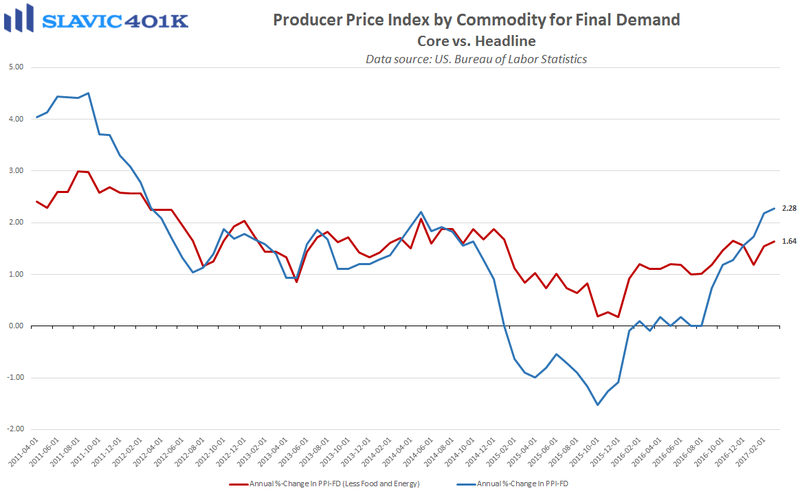 That was a 0.2 percent decrease from February’s downward-revised print and worse that economists had anticipated. Sales declined in six of the thirteen major retail categories last month and the biggest losses occurred in the sales of building materials and motor vehicles. Core retail sales, which exclude automotive and gasoline sales, edged higher by 0.1 percent last month but this also disappointed forecasts. On the bright side, retail control-group sales, which are used in the calculation of U.S. gross domestic product (GDP), jumped by 0.5 percent in March and have risen by 4.1 percent over the past twelve months. However, the Federal Reserve Bank of Atlanta this morning still lowered its projection for Q1 GDP growth to just 0.5 percent, which if turns out to be true would be the lowest quarterly GDP expansion recorded in three years.